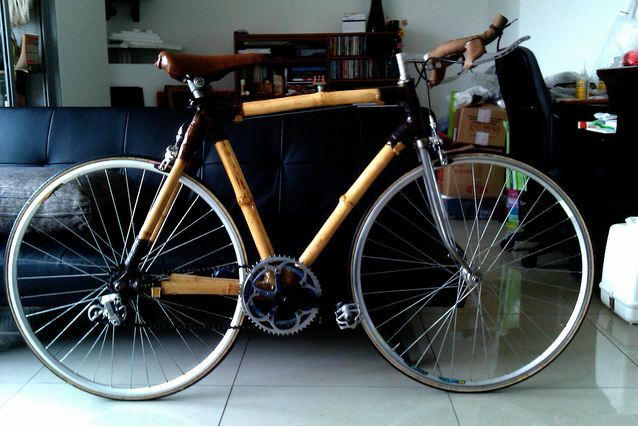 « New bike-centric bamboo supplier! Juan in Columbia is finishing up his bike. Thanks for sending your photos! I know that some of you visiting are making you own bamboo bike or know more than I do on some issues. So please leave some comments, or if you want we can put a post up about what you are doing and what you learned etc... Thanks! Any amount helps! Thanks for your support.